PHOSPHORESCENCE… doesn’t that dazzling word conger all manner of magical light for you? Can’t you see it glow with those beams of heavenly bright? Does it not bring forth the mystical wonder of curiosities revealed? If at this point you are asking yourself what the heck I am talking about, perhaps you’ve been settling for the Home Depot fixture. Maybe you justify it by saying the HD ceiling mounted double bulb is perfectly utilitarian. Let me be clear…you are right about that. Well, sadly there are times that I too need to be practical, but for the purposes of this post, let’s just say this isn’t one of them. No need to fear things that go bump in the night when all that twinkles is in sight. Whether the goal is to upstage that Prom Queen once and and for all, or to cast brushstrokes of pattern across the walls of a simple corridor. 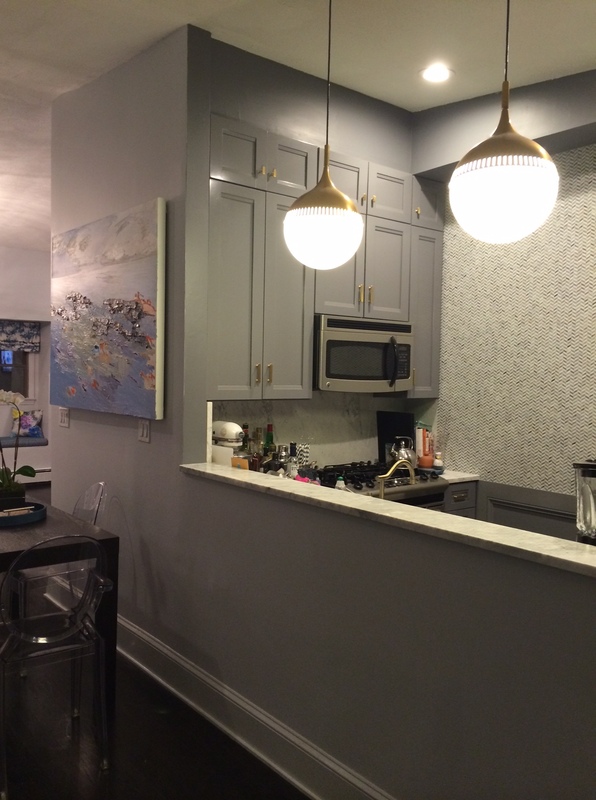 A light fixture can set a tone for what’s to come with that first footfall across the threshold, and it’s no secret that the right light can set a mood and soften the severity that years can bring. Can you say DIMMERS? I can. 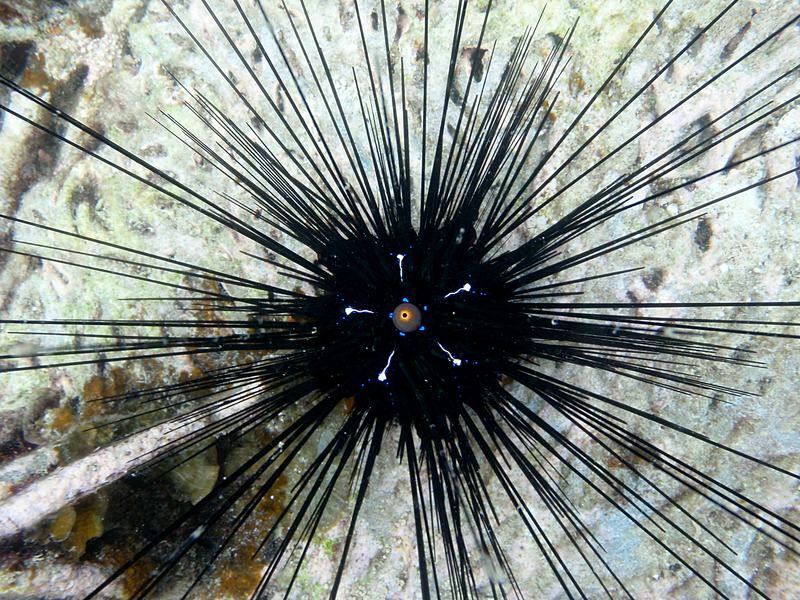 This chandelier may reference Sputnik but for this seaside gal, I more closely associate it with a Sea Urchin. Fortunately it’s popularity has grown because it means that many affordable options exist where just a few years ago I sadly had to settle. Flip To Be No. 2 casts its twiggy delight on my living room ceiling, seen below. Retro wonder. 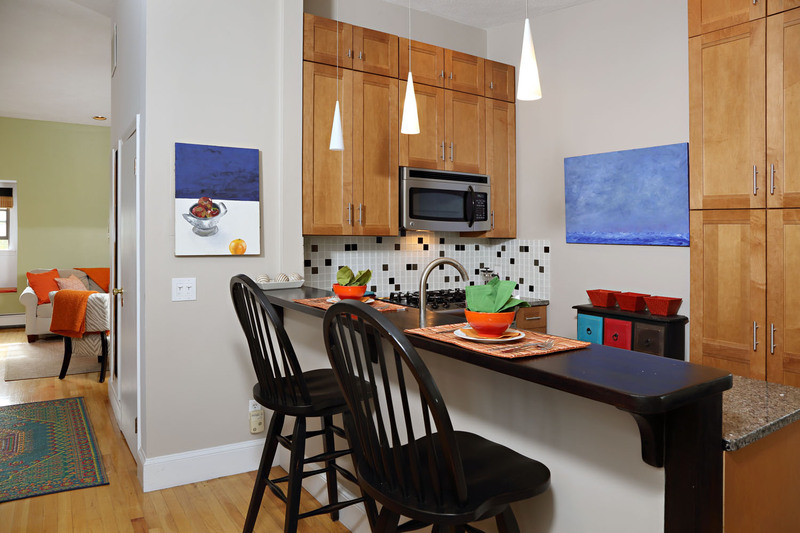 This kitchen originally had three tiny pendants – these bold balloon like beauties exclaim – “here I am”! C.Mid Century Modern Mobile $345. 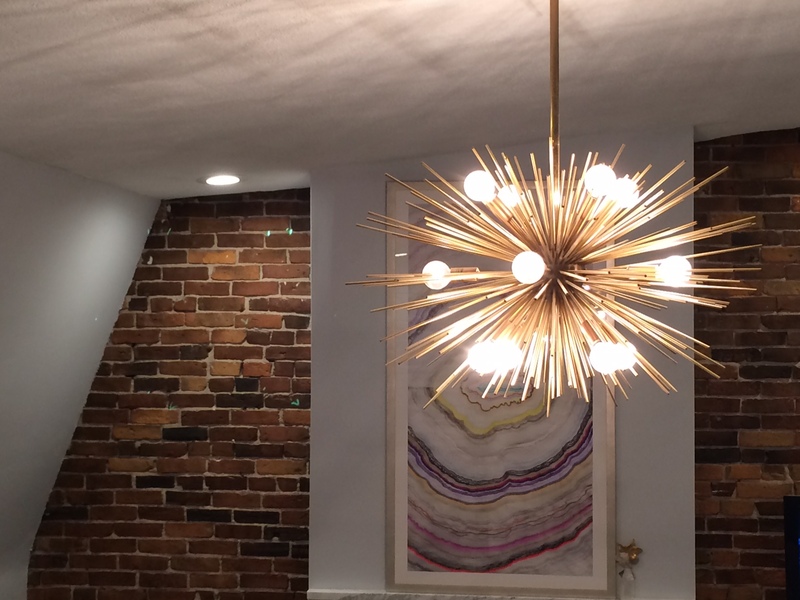 D. Metal Star Ceiling Lighting $699. E. Extra Large Olive Leaf Ceiling Chandelier $550. 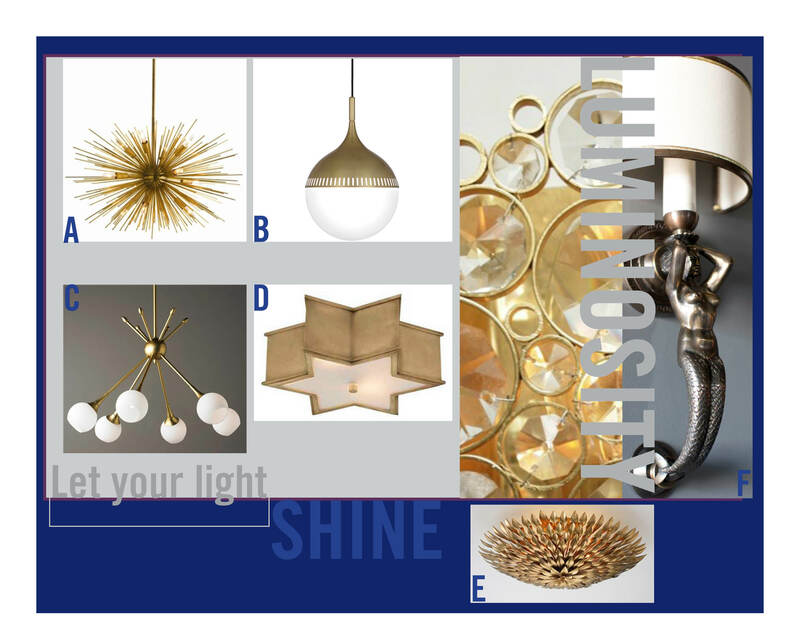 Shades of Light is a mecca for lighting of all kinds. Search here first for your hearts desire. I have my sights on this metal star for my vestibule. 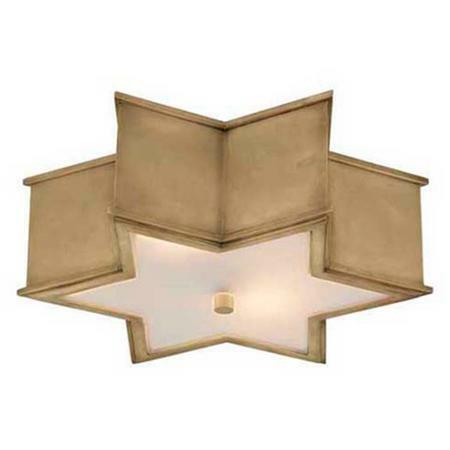 Shades of Light Metal Star Ceiling Light $699. Vestibule.. It sounds grander than it is, but this fixture could be the change it needs in the entry.